Law for race crimes in India: What does it look like? Minister of state for Home, Kiren Rijiju reiterated what Home Minister Rajnath Singh said on a law specific to race crimes in India. 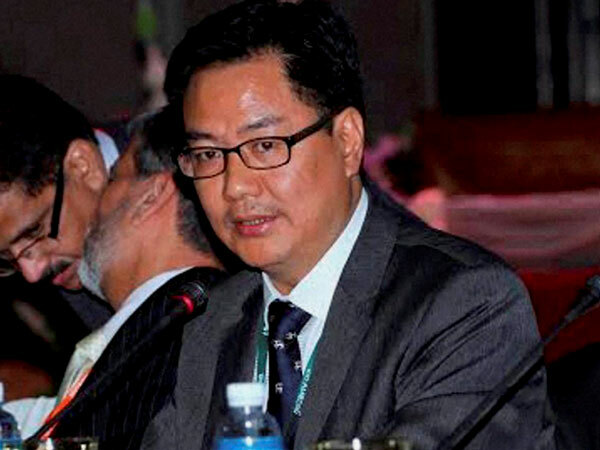 Rijiju assured that there would be a specific law in place against race crimes and this would ensure that the punishment too becomes more stringent. The proposal is to add sections into the Indian Penal Code and also amend the Code of Criminal Procedure. The inclusion and amendment would be necessary to make race crimes more specific in nature so that even the police and the prosecution have greater power to deal with such cases. The Home Ministry proposes to include a provision in Section 153 of the Indian Penal Code. Further a clause in Section 509 of the IPC will also be included. Section 153 of the IPC reads- Wantonly giving provocation with intent to cause riot-if rioting be committed-if not committed. Section 509 of the IPC reads- Word, gesture or act intended to insult the modesty of a woman. Under the Indian Penal Code after the inclusion of the new laws, there would be two new sections- Sections 153 (C) and 509 (A). The inclusion of provisions into these sections would broaden the scope. It would include the word racist, racism or racist remarks. Protection against racism is guaranteed in the Indian Constitution. However in the Indian Penal Code there is nothing specific. Once the sections are included into the IPC, the Code of Criminal Procedure would be amended. Amending the Cr PC is necessary since there is a need to specify the procedure to try and prosecute racism related incidents in India. The punishment being specified for a racism related incident would go up to five years and fine or both. Following a spate of attacks on students especially from the North East the Bezbaruah committee was set up. While making several recommendations the committee proposed to add specific sections in the law to try such crimes. The committee had taken into account the deposition by various people especially from the North East. They had told the committee that they are often abused with words such as momos, chinkis and Chinese. While the most racism related incidents have been reported against those from the North East, the new laws would be applicable for the entire country. It is not a region specific law and would be applicable to incidents across the country. The law is also not specific to incidents against the people from North East only. The government of India is also proposing to set up Fast Track Courts for speedy trials in cases relating to racism. Apart from amending the law there is also a proposal to include the history of North East into the text books so as to make people more aware. The introduction of a special legal cell to help the people affected by racial attacks and slurs would also be set up.